Yep, it's literally been that long since Valve first started their system way back in 2003 on September 12. Kinda hard to believe it's been that long since the service started with initial use for Counter Strike and Half Life 2. Initially hated too by a quite a few fans as unnecessary baggage to get to their Valve games. Now instead has become one of the most well-regarded platforms, one of the most profitable, and easily one of the most affordable. 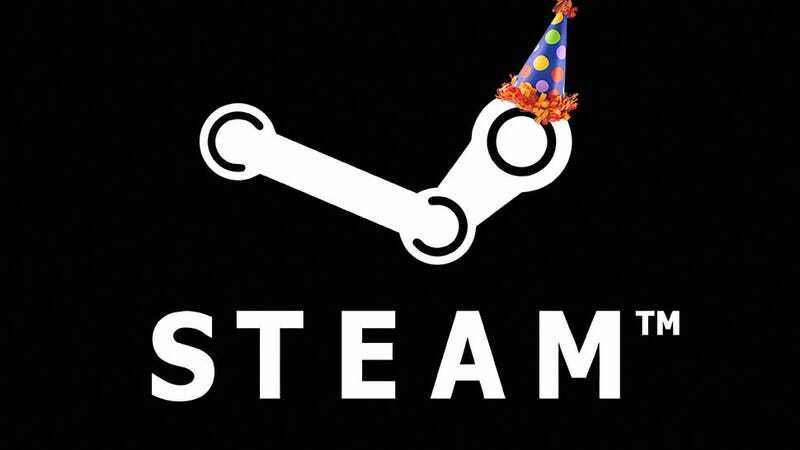 Outside of just cosmetic changes, Steam has over time added tons of different features and services. Alot of them have been good additions like the Steam Overlay, photo and video community sharing pre-PS4 and Xbone, cloud saving, Steam Workshop for one click download modding and sharing, Steam user reviews and guides, numerous communication and activity features with your friends, and of course the notable experimentation with sales that have become the face of the platform. Other features aren't always a hit, like Gabe Newell's own admission of Steam Greenlight, Steam groups not really being a feature utilized, and like every other digital store (outside maybe Netflix) a competent recommendation system for games. Some are even downright weird, like Steam cards you can form badges for or sell for money, and Playfire integration where earning Steam achievements nets you store credit for Greenmangaming...literally you're being paid to play games. Many other features show potential to evolve in positive ways like Steam Music, Early Access, Steam Family Sharing for extending your library to others, and of course In-Home Streaming that lets you stream your PC anywhere in the vicinity of your router. Such a good first step that I largely think it's the best gamepad UI I've ever used. As a fun experiment, I tested it against my PS4, which succeeded in not only being generally faster, with a better internet browser, but generally took less tilts of the stick or button presses to get to basic features. It condenses the home page into 3 portals to go to the store, your library, and community features, with an internet browser and messaging features being one trigger press away. Not to mention the daisy-wheel typing that seems far more designed to the pad than the old QWERTY approach. Features I hope other platforms mimic or improve in the future. All in all it's neat to look back at how this weird platform evolved from a simple client to play Valve stuff, to what is largely the platform that centralized and reinvigorated PC gaming.